Intro from Jay Allison: Another amazing group of new producers has come and gone from Woods Hole. Here are some of the stories they left behind--stories they discovered right under our noses, and told with their brand new skills. You can hear about a rabies task force, affordable housing in the most expensive county in the US--Nantucket, marriage after traumatic brain injury, Lizzie Borden as a marketing plan, and more. And don't forget their Sonic IDs! Listen for their voices coming soon to podcasts and airwaves, and if you're looking for audio storytelling talent--here it is. I remembered seeing an article about a local man with terminal cancer who sued the state for the right to die that same week...Now, I thought, there’s a story. One of the big takeaways (and surprises) from the workshop was the importance of thinking about the elements you need to tell the story you want to tell, before going out on the field to gather tape. “Imagine what you need, then will it into existence” was advice we received often in class. When I got to Transom, I knew that I wanted to do a story on a person or community of color. I started researching refugees in the area and eventually stumbled on a book about a small local Cambodian community. I found out about the Cambodian American Rescue Organization, which led me to their president, Ricky Tith. When I came to Transom, I wanted to report on what was happening in Fall River. It’s a former textile town down on its luck for all the reasons we’ve come to understand after the 2016 elections. It’s got a high poverty rate, an opiate epidemic, and fewer jobs now that textiles are manufactured overseas. But I knew, of course, that no one would willingly listen to a story about that. My story was based on Nantucket, an hour boat ride from Woods Hole. My time spent on the island was determined by a ferry schedule, meaning I couldn’t be particularly spontaneous once I got there. Follow-up interviews were also difficult to schedule. I became keenly aware (read: nervous) that I needed to be efficient with every minute I spent reporting. If there’s one thing I’ve learned, it’s that to dive into subjects close to one’s family and/or one’s self is to do something somewhat unnatural. It’s one thing to schedule a two-hour interview with a stranger for a story you’re chasing. Show up at their house, office or natural habitat and capture them there for a predetermined amount of time. It’s an entirely other thing to invite your own mother to the Cape to stay with you for a few days to be part of a project. I convinced myself at many points during the editing process, that what I was creating was pure rubbish. The mind is a powerful beast and I think a trait of a great radio producer is courageousness and focused calm, even when you aren’t totally sure what you’re doing. Trusting the process and the decisions you make will help you move radio mountains. Maybe stories are like relationships. You go along with one because it’s what you have, and it’s fine, and it’s better than being without one. But one day, you wake up, break it off, and find another that is more right and fulfilling and exciting than you could have ever imagined. I started working on this piece before I got to the workshop. I was looking for story ideas everywhere — Craigslist, Google, Newspapers — and made it a point to spend at least one hour each day scouting for stories. Then I found the Fall River Herald. I knew I wanted to do a personal story, so I searched for all the stories the Herald’s Lifestyle reporter had covered in Fall River. That’s when I found David, a talented 16-year-old ballet dancer. Sophie McKibben is the Associate Producer of FRONTLINE’s upcoming podcast. 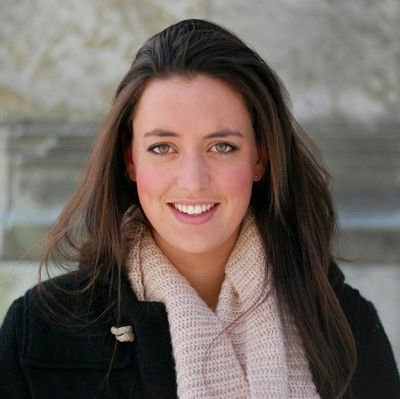 Sophie is also the co-founder of Now Here This, an online platform for student produced audio storytelling. 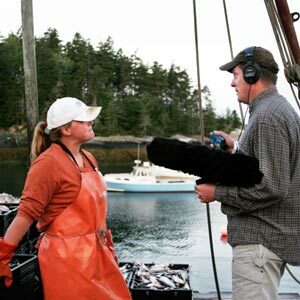 Sophie has worked for Rhode Island Public Radio, Storytellers For Good, and North Country Public Radio. Sophie also helps produce the Bandwagon Podcast.